We are delighted to be shortlisted to receive an award from the National Federation of Builders (NFB). The NFB Awards 2018 celebrate the high-quality work and commitment delivered by members across England and Wales. The awards also reflect the dynamic nature of the construction industry and the excellent standards upheld by NFB members. Reaching the final stages indicates that Seamans Building demonstrated excellence in the delivery of construction projects, from setting clear measurable objectives to building fantastic relationships with clients and striving to provide added value. 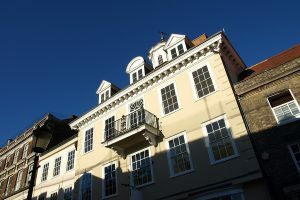 This prestigious award follows on from the recent LABC Building Excellence Awards for ‘Best Commercial Building’ with the skilled renovation of Cupola House, a Grade I listed building in Bury St. Edmunds, and ‘Best Local Builder & Traditional Craftsperson’ for their consistent excellent standards of building and unique traditional skills. 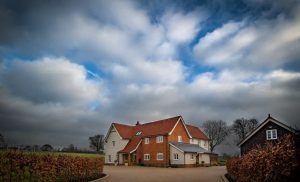 Seamans Building is based at Thurston near Bury St Edmunds and undertakes all types of construction work including alterations and extensions, new build houses, commercial / industrial work, NHS and education projects. Operating throughout East Anglia our commitment to quality is based on developing exceptional teams; using modern techniques whilst safeguarding traditional skills and craftsmanship for future generations. Winners will be announced at a prestigious awards ceremony taking place at The Belfry Hotel & Resort, Sutton Coldfield, on Tuesday 27 March 2018. This entry was posted in News and tagged award, heritage project, LABC, new build, NFB, seamans building, suffolk on 19th February 2018 by Penny.